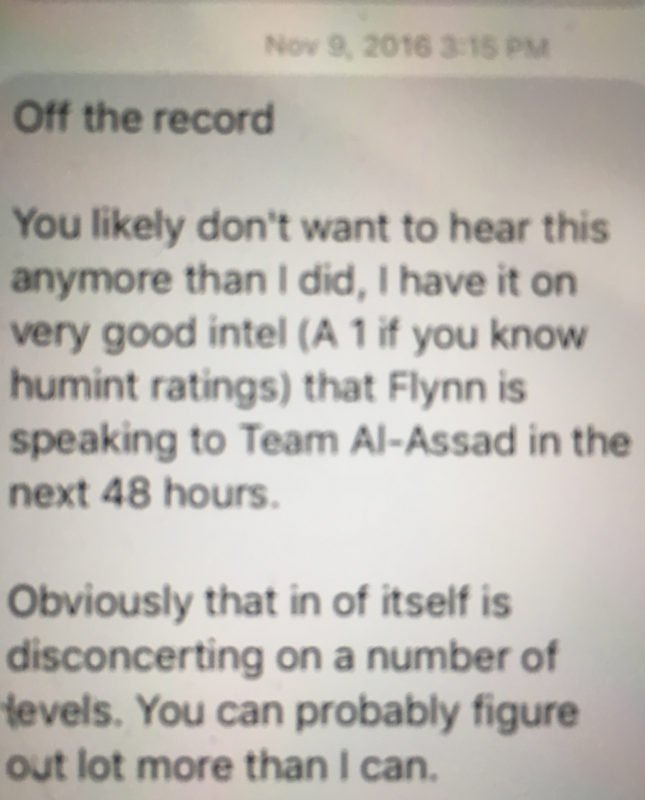 In my post revealing that I went to the FBI with information about someone who played a significant role in Russia’s attack on US elections, I revealed that the person sent me a text less than 15 hours after polls closed indicating Trump had ordered Mike Flynn to start working on Syrian issues. Both Jared Kushner’s public statement and Mike Flynn’s anonymous confidant’s comments corroborate that Trump focused on Syria immediately after the election. I have taken from that that conceding to Russian plans to leave Bashar al-Assad in place is one of the payoffs Trump owed Putin for help winning the election. For that reason, I want to look at the Shadow Brokers Don’t Forget Your Base post, posted on April 9, 2017, just three days after Trump retaliated against Syria for a chemical weapons attack on civilians. It was the first post after Shadow Brokers had announced he was going away on January 12 (which, I now realize, was the day after the Seychelles meeting set up a back channel with Russia through Erik Prince). 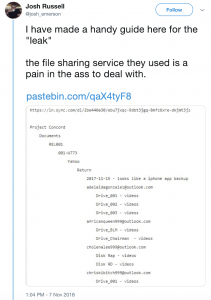 It preceded by days the Lost in Translation post, which released powerful NSA hacking tools that would lead directly to the WannaCry malware attack in May. 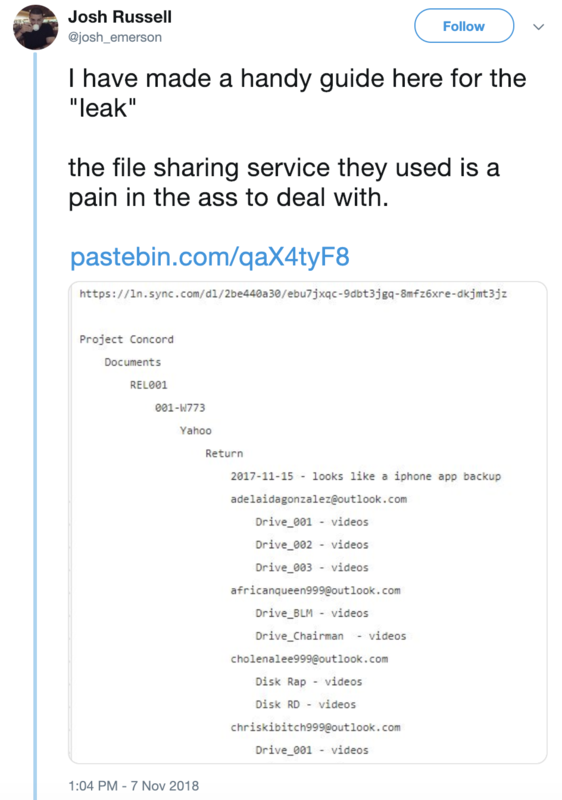 And while the Don’t Forget Your Base post did release files, it was mostly about messaging. That messaging included a bunch of things. Among other things (such as that Trump shouldn’t have fired Steve Bannon and should refocus on his racist domestic policies), the post argues that Trump should just own up to Russia helping Trump win the election. It talks about what the people who got Trump elected expect. The peoples whose voted for you, voted against the Republican Party, the party that tried to destroying your character in the primaries. The peoples who voted for you, voted against the Democrat Party, the party that hates, mocks, and laughs at you. Without the support of the peoples who voted for you, what do you think will be happening to your Presidency? Without the support of the people who voted for you, do you think you’ll be still making America great again? It claims that embracing Russian foreign policy will make America great. TheShadowBrokers isn’t not fans of Russia or Putin but “The enemy of my enemy is my friend.” We recognize Americans’ having more in common with Russians than Chinese or Globalist or Socialist. Russia and Putin are nationalist and enemies of the Globalist, examples: NATO encroachment and Ukraine conflict. Therefore Russia and Putin are being best allies until the common enemies are defeated and America is great again. And it argues (in a thoroughly muddled description of what happened) that Trump shouldn’t have bombed Syria. Because from theshadowbrokers seat is looking really bad. If you made deal(s) be telling the peoples about them, peoples is appreciating transparency. But what kind of deal can be resulting in chemical weapons used in Syria, Mr. Bannon’s removal from the NSC, US military strike on Syria, and successful vote for SCOTUS without change rules? There is, admittedly, a lot going on here, even ignoring that it sounds like a batshit insane rant. But is also that case that Shadow Brokers had gone away in the transition period. And then shortly after Trump bombed Syria, he came back, and very quickly released tools he had threatened to release during the transition period. The release of those tools did significant damage to the NSA (and its relations with Microsoft and other US tech companies) and led directly to one of the most damaging malware attacks in history. It is my opinion that Russia manages Trump with both carrots — in the form of election year assistance and promises of graft — and sticks — in this case, in the form of grave damage to US security and to innocent people around the world. And Trump is poised to head into a meeting with Vladimir Putin on Monday — showing no embarrassment about the proof laid out yesterday that without Putin, Trump wouldn’t have won the election — to discuss (among other things) a deal on Syria. Meanwhile, Trump’s own Director of National Intelligence, Dan Coats, says the lights are blinking red like they were in advance of 9/11. Director of National Intelligence Dan Coats raised the alarm on growing cyberattack threats against the United States, saying the situation is at a “critical point” and coming out forcefully against Russia. Coats compared the “warning signs” to those the United States faced ahead of the September 11 terrorist attacks. Rather than doing the things to prepare for an attack, Trump has virtually stood down, firing his very competent cyber czar and providing no order to take more assertive steps to prepare for an attack. This is why I came forward two weeks ago to talk about how quickly someone involved in the election attack learned of Trump’s policy shift on Syria. I believe Trump is cornered — has allowed himself to be cornered. And in spite of everything, Trump is prepared to go alone into a meeting on Monday with Vladimir Putin — the guy wielding both carrots and sticks against Trump — and make a deal. Everyone is worried that Putin might release a pee tape. I think what Putin holds over Trump may be far more serious. And if something happens, know that there’s good reason to believe Trump brought it on the country himself, willingly. In this series, it feels like time is marked by big Russian meetings and key firings. Starting in January 2017, Trump came to learn that FBI was investigating Mike Flynn. His real reasons for firing Flynn remain unreported, but it appears he had some concerns that the investigation into Flynn would expose him personally to investigation. After a failed attempt to quash the investigation into his Administration by firing Flynn, Trump grew increasingly angry that Jim Comey wouldn’t provide a quick exoneration without conducting an investigation first, leading to his firing. May 10, 2017: What did you mean when you told Russian diplomats on May 10, 2017, that firing Mr. Comey had taken the pressure off? Trump fired Comey just in time to report to Russian Ambassador Sergey Kislyak and Foreign Minister Sergey Lavrov in a meeting the next day that doing took the pressure off he felt because of Russia. The reports that Trump’s lawyers need to have clearance because of the inclusion of this meeting in the list of questions suggests Mueller wants to learn more about the meeting beyond the public reports. That may include Trump’s sharing of classified information provided by the Israelis. May 11, 2017: What did you mean in your interview with Lester Holt about Mr. Comey and Russia? He’s a showboat, he’s a grand-stander, the FBI has been in turmoil, you know that. I know that. Everybody knows that. You take a look at the FBI a year ago, it was in virtual turmoil. Less than a year ago. It hasn’t recovered from that. [in response to a question about Rosenstein’s recommendation] What I did was I was going to fire Comey. My decision. I was going to fire Comey. There’s no good time to do it, by the way. I was going to fire regardless of recommendation. [Rosenstein] made a recommendation, he’s highly respected. Very good guy, very smart guy. The Democrats like him. The Republicans like him. But regardless of recommendation I was going to fire Comey. Knowing there was no good time to do it. And in fact when I decided to just do it, I said to myself, I said you know, this Russia thing with Trump and Russia is a made-up story, it’s an excuse by the Democrats for having lost an election that they should have won. And the reason they should have won it is the electoral college is almost impossible for a Republican to win. Very hard. Because you start off at such a disadvantage. So everybody was thinking, they should have won the election. This was an excuse for having lost an election. I just want somebody that’s competent. I’m a big fan of the FBI. I love the people of the FBI. As far as I’m concerned, I want that [investigation] to be absolutely done properly. When I did this now, I said I’ll probably, maybe confuse that. Maybe I’ll expand that, you know, lengthen the time because it should be over with, in my opinion, should have been over with a long time ago. ‘Cause all it is, is an excuse but I said to myself, I might even lengthen out the investigation, but I have to do the right thing for the American people. [in response to question about why he put he was not under investigation in his termination letter] Because he told me that, I mean he told me that. I’ve heard that from others. I had a dinner him, he wanted to have dinner because he wanted to stay on, we had a very nice dinner at the White House very early on. [He asked to have dinner?] A dinner was arranged. I think he asked for the dinner. And he wanted to stay on as the FBI head. And I said, I’ll consider, we’ll see what happens. We had a very nice dinner. And at that time he told me you’re not under investigation. I knew anyway. First of all, when you’re under investigation, you’re giving all sorts of documents and everything. I knew I wasn’t under — and I heard it was stated at the committee, at some committee level, number one. Then during the phone call he said it, then during another phone call he said it. He said it at dinner, and then he said it twice during phone calls. In one case I called him, in one case he called me. I actually asked him, yes. I said, if it’s possible, would you let me know, am I under investigation? He said you are not under investigation. All I can tell you is that I know that I’m not under investigation. Personally. I’m not talking about campaigns, I’m not talking about anything else. I’m not under investigation. [did you ask him to drop the investigation] No. Never. I want the investigation speeded up. Why would we do that? Iw ant to find out if there was a problem with an election having to do with Russia, or anyone else, any other country, I want it to be so strong and so good. I want somebody that’s going to do a great job. I think that looking into me and the campaign, I have nothing to do, his was set up by the Democrats. There’s no collusion between me and my campaign and the Russians. The other things is the Russians did not affect the vote. 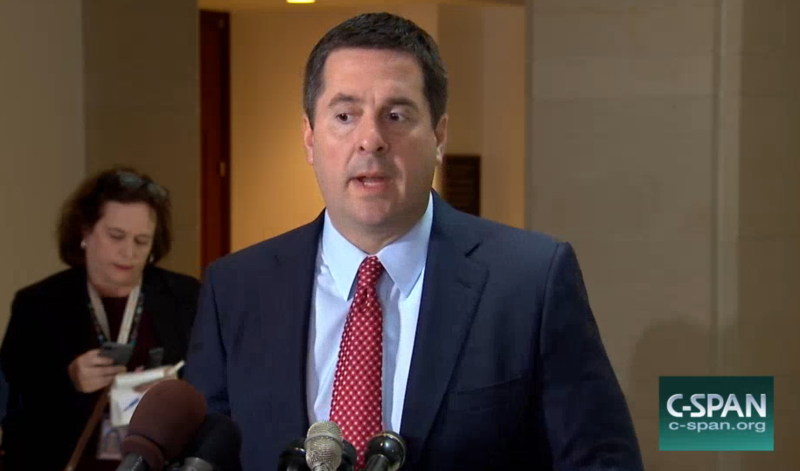 [wiretapping] I was surprised [Comey said no spying] but I wasn’t angry. 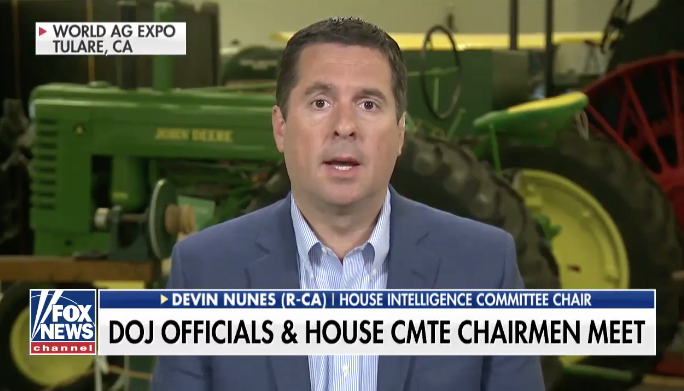 There’s a big thing going on right now, spying, to me that’s the big story. I want a great FBI Director. I expect that [they will continue investigation]. [Flynn’s access to secrets] My White House Counsel it did not sound like an emergency. She didn’t make it sound that way either in the hearings the other day. It didn’t sound like it had to be done immediately. This man has served for many years. He’s a general. In my opinion a very good person. It would be very unfair to hear from someone we don’t even know to immediately run out and fire a general. We ultimately fired, but we fired for a different reason. Everything plays into it. We fired him because he said something to the Vice President that wasn’t true. He had clearance from the Obama Administration. I think it’s a very unfair thing that the media doesn’t talk about that. I just sent a letter from one of the most prestigious law firms in the country that I have nothing to do with Russia, I have no investments in Russia, I don’t have property in Russia. I’m in total compliance in every way. I had the Miss Universe Pageant in Moscow a long time ago. I have a certified letter. I’m not just saying that. I assume he’s gonna give the letter out. No loans, no nothing. I never thought about it [optics of Lavrov meeting]. What difference does it make. When I spoke with Putin he asked me whether I’d see Lavrov. I think we had a great discussion having to do with Syria, having to do with the Ukraine. Maybe that discussion will lead to peace. Ultimately, Trump said several things here (aside from putting into the public record the meetings with Comey, though he got details that can almost certainly be proved wrong wrong). He differentiated between an investigation into himself personally and others, denied asking to halt the investigation into Flynn, provided his bogus self-exoneration claim of not having business ties with Russians. He also reiterated the claim he had been spied on. May 12, 2017: What was the purpose of your May 12, 2017, tweet? By this point, Trump and Comey were in a war of credibility. And Trump suggested that he might have tapes of his meetings with Comey. The White House answers about whether there were tapes have dodged some, so it’s possible. May 17, 2017: What did you think and what did you do in reaction to the news of the appointment of the special counsel? In the wake of reporting that Comey had documented a request from Trump to halt the investigation into Flynn, on May 17, Rod Rosenstein appointed Robert Mueller to investigate any links between the Russian government and individuals associated with Trump’s campaign and “any matters that arose or may arise directly from the investigation.” The latter phrase made it clear that by firing Comey, Trump had put himself under investigation for obstructing the investigation in chief. In the middle of a meeting with Sessions, Don McGahn, Mike Pence, and several others on replacing Comey, Rosenstein called McGahn and told him he had appointed Mueller. Trump took it out on Sessions, calling him an idiot and telling him he should resign. Sessions left and sent a resignation letter, but Pence, Steve Bannon, and Reince Priebus convinced him to hold off on accepting it. This piece describes Priebus’ side of that story. May 31, 2017: Why did you hold Mr. Sessions’s resignation until May 31, 2017, and with whom did you discuss it? Mueller has received testimony from most of the people who counseled Trump not to fire Sessions, including McGahn, Bannon, and Priebus (but not Pence). He has also gotten Sessions’ testimony on this point. I’m particularly interested in whether Trump consulted with people not listed in the NYT story on this, such as Jared Kushner and Stephen Miller (who had counseled him to fire Comey in the first place). I also suspect that Trump had already reached out Flynn by this point to talk pardons. June 8, 2017: What did you think about Mr. Comey’s June 8, 2017, testimony regarding Mr. Flynn, and what did you do about it? On June 8, Comey testified to SSCI. The night before, he released a statement that reviewed much of what appeared in his memos. The hearing consisted of senators from each party trying to spin Comey’s report of being asked to drop the Flynn investigation, with little news — though Comey did make clear the investigation covered false statements. BLUNT: On the Flynn issue specifically, I believe you said earlier that you believe the president was suggesting you drop any investigation of Flynn’s account of his conversation with the Russian ambassador. Which was essentially misleading the vice president and others? Comey refuted Trump’s claim that he didn’t ask him to stop the investigation into Flynn. KING: In his press conference May 18th, the president responded, quote, no, no, when asked about asking you to stop the investigation into general Flynn. Is that a true statement? Comey said he viewed the Flynn investigation and the Russian one as touching, but separate, though raised the possibility of flipping Flynn. 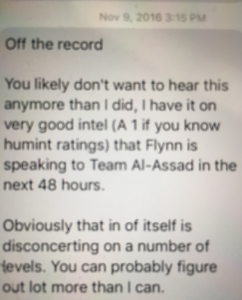 KING: Back to Mr. Flynn. 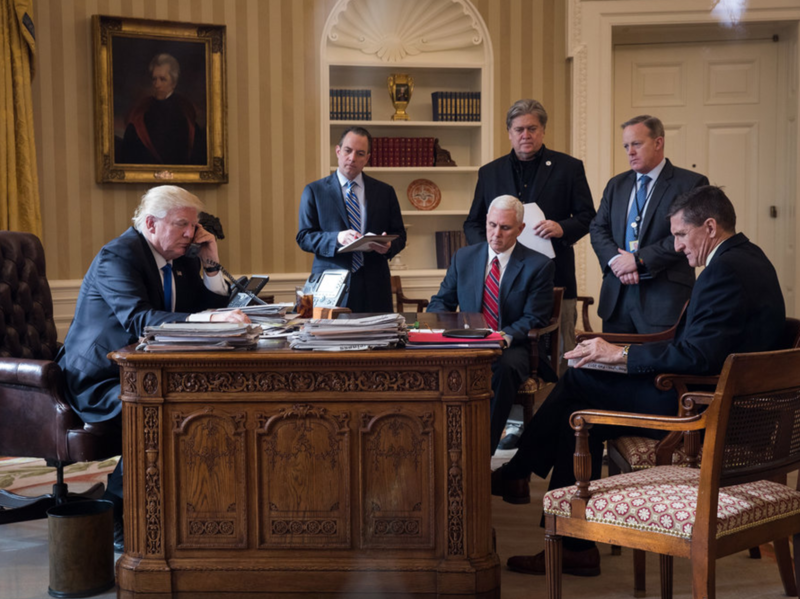 Would the — would closing out the Flynn investigation have impeded the overall Russian investigation? COMEY: No. Well, unlikely, except to the extent — there is always a possibility if you have a criminal case against someone and squeeze them, flip them and they give you information about something else. But I saw the two as touching each other but separate. Comey also revealed that he had shared memos memorializing his conversations with Trump with a friend. 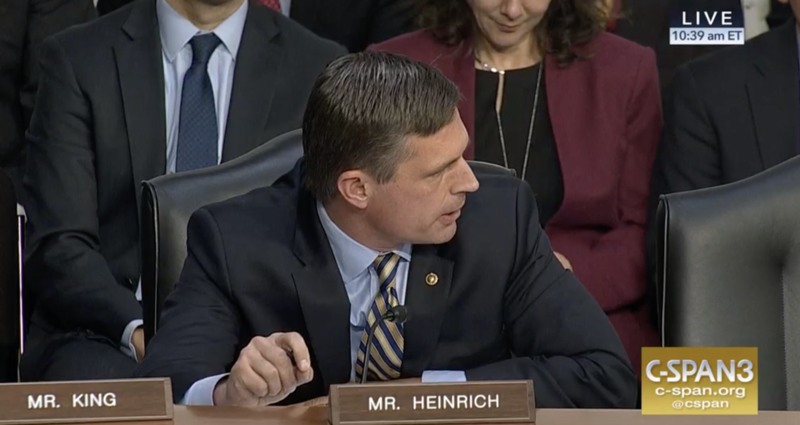 BLUNT: You said something earlier and I don’t want to fail to follow up on, you said after dismissed, you gave information to a friend so that friend could get that information into the public media. Much of the hearing covered Sessions’ non-involvement. Comey deferred a number of questions to the closed session. Trump used the Comey hearing — and his confirmation that at the time he left the president wasn’t under investigation — to have Marc Kasowitz make a statement claiming Trump never impeded the investigation and never demanded loyalty. I am Marc Kasowitz, Predisent Trump’s personal lawyer. Admiral Rogers testified that the President never “directed [him] to do anything . . . illegal, immoral, unethical or inappropriate” and never “pressured [him] to do so.” Director Coates said the same thing. The President likewise never pressured Mr. Comey. . The President also never told Mr. Comey, “I need loyalty, I expect loyalty” in form or substance. Of course, the Office of the President is entitled to expect loyalty from those who are serving in an administration, and, from before this President took office to this day, it is overwhelmingly clear that there have been and continue to be those in government who are actively attempting to undermine this administration with selective and illegal leaks of classified information and privileged communications. Kasowitz also accused Comey of leaking in order to lead to a special counsel investigation. Mr. Comey has now admitted that he is one of these leakers. Today, Mr. Comey admitted that he unilaterally and surreptitiously made unauthorized disclosures to the press of privileged communications with the President. The leaks of this privileged information began no later than March 2017 when friends of Mr. Comey have stated he disclosed to them the conversations he had with the President during their January 27, 2017 dinner and February 14, 2017 White House meeting. Today, Mr. Comey admitted that he leaked to friends his purported memos of these privileged conversations, one of which he testified was classified. He also testified that immediately after he was terminated he authorized his friends to leak the contents of these memos to the press in order to “prompt the appointment of a special counsel.” Although Mr. Comey testified he only leaked the memos in response to a tweet, the public record reveals that the New York Times was quoting from these memos the day before the referenced tweet, which belies Mr. Comey’s excuse for this unauthorized disclosure of privileged information and appears to entirely retaliatory. We will leave it the appropriate authorities to determine whether this leaks should be investigated along with all those others being investigated. . This sort of kicked off the official campaign to discredit Comey and those who would back his story. June 12, 2017: What did you think and do in reaction to the news that the special counsel was speaking to Mr. Rogers, Mr. Pompeo and Mr. Coats? Public reports date Rogers and Coats’ interviews with Mueller to the week of June 12, 2017, so Pompeo’s must have been around that same time. Rogers and Coats, at least, testified that Trump tried to get them to state publicly that there was no collusion. They said the interaction was odd and uncomfortable, but that he did not order them to interfere. Clearly, Trump responded to public reports of their being called as witnesses, though we don’t know what the response was. It’s possible that’s when Trump threatened to fire Mueller, only to back off when Don McGahn threatened to quit. July 7, 2017: What involvement did you have in the communication strategy, including the release of Donald Trump Jr.’s emails? I’ve laid out that I believe the evolving June 9 story is a limited hangout orchestrated by Agalarov lawyer Scott Balber. The strategy would have begun when Jared Kushner wrestled with the need to disclose the meeting, both in response to congressional investigations and for his clearance. Manafort, too, turned over emails backing the event about a month before the story came out publicly. This post talks about the response the weekend of the G-20 in Hamburg, including Ivanka sitting in on a meeting so Trump could strategize, and Hope Hicks suggesting the emails would never come out. As a reminder, on the same day Trump had a second hour long meeting with Putin, he dictated Putin’s propaganda line that the meeting pertained to adoptions. Importantly, he hid what I’ve suggested was the quo in the quid pro quo, sanctions relief. Mueller undoubtedly would like to know if Putin helped him come up with that message, which would be really damning. Mueller also wants to know about the decision to leak Don Jr’s emails. Bannon suspects that a Jared aide leaked the emails (his then lawyer Jamie Gorelick would cut back her work with him shortly thereafter). But remember: in a DM, Assange proposed that he give Wikileaks the email. There’s clearly far more back story to the leaked email we don’t know yet. If Trump’s involvement here involves coordination with Russians (like the Agalrovs, to say nothing of Putin) or Assange, it would provide damning evidence not of obstruction, but of collusion, an effort to coordinate a story about a key meeting. Trump’s lawyers have always suggested questions about Trump’s role in this statement are improper, which is itself a telling indicator that they don’t understand (or want to spin) the risk of the original June 9 meeting. July 20, 2017: After the resignations, what efforts were made to reach out to Mr. Flynn about seeking immunity or possible pardon? Mike Flynn tried to get Congressional immunity in March 2017, with Trump’s backing the effort in a tweet. On July 20, the WaPo reported that Trump’s team was researching pardons. The NYT report first revealing that Trump offered pardons to Mike Flynn (and Manafort, who is curiously not mentioned in this question) describes it happening after John Dowd took over, in the wake of the revelation of the June 9 meeting and the Kasowitz firing. Dowd denied any such thing was happening on July 21, which is probably a good sign such discussions were taking place. July 25, 2017: What was the purpose of your July 2017 criticism of Mr. Sessions? What discussions did you have with Reince Priebus in July 2017 about obtaining the Sessions resignation? With whom did you discuss it? In late July, 2017, Trump accused Sessions of several sins: failing to crack down on leaks, failing to prosecute Hillary, and failing to fire Andrew McCabe. That must be the same time when Trump ordered Priebus to get Sessions’ resignation, which he dodged by stalling, which probably answers the “what was the purpose” question: to lay predicate to fire Sessions. 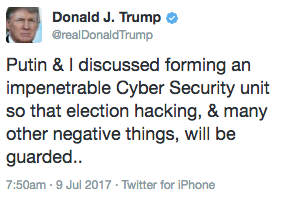 I’m particularly interested in the question about who Trump discussed this with, particularly given the provocative timing — the days before George Papadopoulos’s July 26 arrest and Paul Manafort’s July 27 condo search (using a warrant that, unlike a warrant from a May 27 storage unit search, invoked the June 9 meeting). It’s possible Trump had advance knowledge of this stuff (which would be alarming), but likely it’s a coincidence. 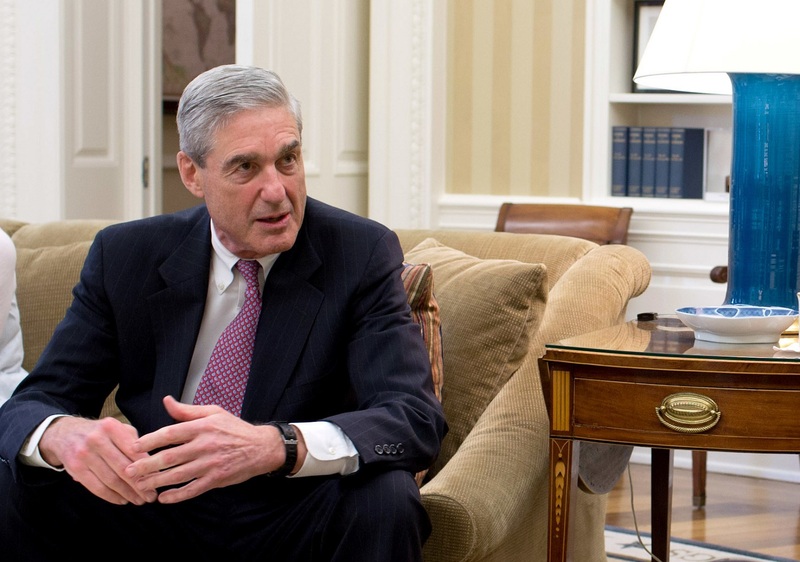 In any case, Mueller clearly has reason to believe Trump learned something about the investigation and discussed it with people that led him to try, again, to stop it by firing someone. On September 1, Trump responded to reports that because Comey had a declination written before interviewing Hillary, he rigged the outcome of the investigation. In mid-October, in the wake of the Manafort indictment and George Papadopoulos plea, Trump returned to this attack. Rudy Giuliani has renewed this attack in recent days, which is presumably an attempt to undercut Comey’s credibility. The NYT report that Trump tried to fire Mueller in June 2017 made it clear that Mueller had received testimony about it (presumably from McGahn and others). Clearly, Mueller has reason to know that Trump did something else in response. Note that this report came out in the wake of the Michael Wolff book, which would give Mueller an excuse to call several of the relevant witnesses (such as Mark Corallo and Steve Bannon) as witnesses. This time period also closely follows the increasingly aggressive response in Congress. The assumption is that Trump continues to attack Comey and McCabe because doing so might harm their credibility with regards to an obstruction investigation, and that’s surely true (made all the worse by McCabe’s firing and his criminal referral). But I increasingly believe (particularly given that the other contemporaneous witnesses to Comey’s concerns, like James Baker, are not named) that’s not the only reason Trump is doing this. My guess is it’s an attempt to undermine their decision to investigate Flynn. We now know, for example, that McCabe set up the interview with Flynn on Comey’s direction. So in addition to discrediting key witnesses against him, it seems possible that Trump is also trying to discredit the decision, at a time when FBI was about to close a counterintelligence investigation into Flynn, to instead interview him, leading to the exposure of Trump’s efforts to undermine US policy during the transition period. Someone (possibly named Rudy 911) leaked the questions Robert Mueller wants to ask Trump to the NYT. The NYT, as they’ve been doing for some time, are presenting the president’s exposure in terms of obstruction. Indeed, the questions seem almost an attempt to pit Trump’s word against Jim Comey’s (questions 6 through 23) as a way to lure him into answering questions that even as written will sink Trump. And that’s assuming there’s not some ulterior motive to the question (and for some of the most open-ended questions — like 33,39, 40, and 41 — I suspect, there is). So yeah, if Trump has any lawyers still working for him, they should advise him not to take this interview. But when that happens, it should badly undercut Trump’s claims there was no collusion.